NXT TV taping results are coming out and it seems as if Kairi Sane may have wrestled her final match. Sane challenged Shayna Baszler for the NXT Women’s Title where if she lost, she would forfeit any chance at challenging for the belt again. 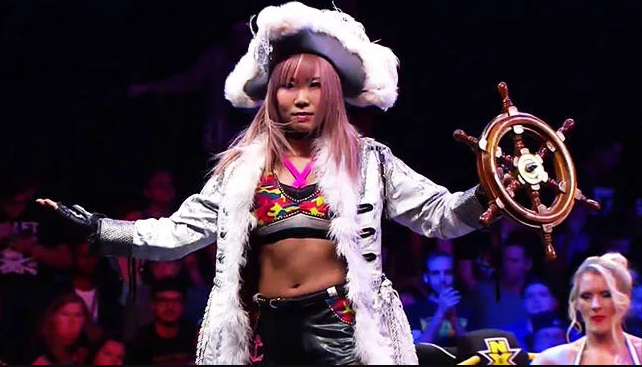 During the match, Io Shirai came out to check on Sane, and in the process got into it with Shayna, which caused a disqualification to occur and lost Sane the match. Afterwards, Jessamyn Duke and Marina Shafir grabbed Shirai and forced her to watch as Baszler took her frustrations out on Sane. After the spot, Sane received a standing ovation from the Full Sail crowd, signaling what could be her final appearance in NXT.